Our Verdict: Volcano Ecigs has recently leaped to the top ten of the consumer top rated e-cig charts due to their enhanced starter kits. Based on our judgment, Volcano Ecigs indeed offers great units for beginners and advanced vapers who want value out of their money and uncomplicated yet quality vaping experience. Volcano’s starter kit for beginners, the Inferno Express is their most affordable option for anyone who wants to start vaping. A sleek unit that comes in five different colors, the Inferno is comparable to other entry-level kits that sport a modern and presentable design. It combines stainless steel bands, a 650 mAh battery, and a metal drip tip so that holding it feels comfortably compact and durable. If you are up for a portable yet enhanced unit just above the light-weight cig-a-like units, then this kit is for you. Nonetheless, it works in as simple as refilling the tank and a few clicks. However, what makes it much better than disposable units and small cig-a-like vapes is the additional features such as a pass-through capability that allows you to vape continuously while charging the device. It also has a Bottom Coil Tank with a 1.8 Ohm heating coil for a flavorful and enjoyable vaping experience for beginners. The coils are replaceable, which means it will last you longer than cartridge type vaping kits. The Inferno may not come as cheap as cig-a-likes and disposables, but it is more cost-effective in the long run—a wise option for beginners who are planning to put their money into good use. A new starter kit for advanced users, the Lavatube 3 is a huge yet valuable investment due to its first-class build that speaks of resilience and elegance. The material behind this is a 6061 Billet Aluminum, which is commonly used in aircrafts. It has a thicker and heavier body compared to lower-priced units. This is an advantage to those who want a solid unit that does not feel easy to break and too insubstantial to last. The button is intact and easy to use. The Lavatube 3 is a powerful variable temperature control mod that enables its user to choose between 200F to 600F for ultimate pleasure. It makes use of a DNA 40 chip that allows for a variable temperature control that is displayed on the monitor. It can also fire down as low as 0.1 ohms, with all the protection that you need to avoid short circuits and overheating. 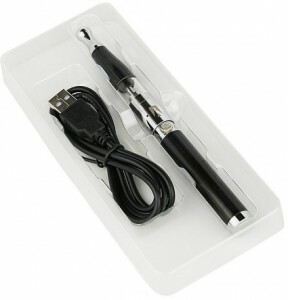 This kit is also a pass-through device that can be used while charging. Its sizeable screen with bright characters lets you know the current temperature and wattage even under direct sunlight. The whole kit includes 1 Lavatube 3, a wall charger, a USB charging cord, one tube tank pro kit with three coils, a replacement glass, tank and replacement o-rings. It also comes with a 35 AMP 18650 high-drain LiMN 2800 mAH Lavacell battery and one free 15ml bottle of e-liquid. For vapers who are into rebuildable tank atomizers and customization, the Tephra 1 Starter Kit is a great mechanical mod kit that allows you to start enjoying more vapor, flavor, and overall satisfaction. It has the same durable and compact build as other newly released advanced units that Volcano Ecigs offers. The TEPHRA 1 mechanical mod sleeve is made of resilient 6061 billet aluminum and machined 303 stainless steel core—two of the most remarkably durable construction materials that guarantee years of usage without breaking and damage. The kit is 94.38mm long and 22.5mm in diameter, which is solid and compact to the touch. Advanced vapers who do not want to worry about their units being damaged when carried around will love the Tephra 1’s overall design. With a 35 AMP 18650 high-drain LiMN 2800mAH Lavacell Battery, this unit is engineered to create high-quality vapor using RBAs that you can tweak according to your preferences. Volcano Ecigs takes pride in this 100% Hawaii-made kit that was made under USA standards. A lot of e-cig brands make use of the globally fluid market to lower their production costs and import their products in parts or whole from other countries. As a result, the quality of their products is inconsistent. Volcano Ecigs guarantees that the Pele is none of them. The Pele Starter Kit is their premium mechanical mod kit that is for experienced vapers who love customizing their coils. This unit does not involve complex variable options where you need to adjust the voltage, wattage, or temperature. Moreover, it is built for those who are into meticulous yet truly ingenious coil replacements and rebuilding. Volcano Ecigs made sure that their $199.99 worth starter kit is durable enough to last for years by using 3003 stainless steel and brass for the mod. This mod is longer than the Tephra 1, with a 22mm diameter and 105.97mm length for a more audacious look. It comes with one mechanical mod, 1 Caldera RBA, 1 35 AMP 18650 high drain LiMN 2800 mAh Lavacell battery, and a free 30ml bottle of USA-made e-liquid. The kit does not include wires and wicks, so you will need to purchase them separately. Apart from its long-lasting battery life, the kit has an RBA air flow control and three vent holes to give you even better vaping experience as you customize your coil to match your vaping taste. This kit allows for modified vaping that delivers just the right throat hit, airflow, vape quantity, and flavor from personalized coils and a very powerful battery. Volcano started in 2009 by Jos Burnett and Cory Smith in Hawaii. Since their establishment, Volcano has expanded to locations in the UK and Southeast Asia and the US. Previously, Volcano Ecigs offered cig-a-like units called the Magma Kit, but just recently took it out of their list. Instead, they added more advanced units and mods with variable voltage, temperature control, wattage, and mechanical mods to cater to the needs of the most experienced vaper. If you look at their whole selection now, you will see that it reflects their primary focus in producing ‘industry-leading products’. The prices of their starter kits are not in the lower range, but rather a bit high compared to other brands. Nevertheless, more and more people are purchasing their kits due to the premium and durable built and design, as well as superior features that go with every model. Volcano Ecigs also offers tanks and coils of superior quality from renowned brands that produce the best vaping gear on the market. They also have their line of e-liquids with tobacco, candy, menthol, beverage, dessert, and fruit flavors to choose from. Some of their most famous flavors are the Menthol Burst and Choconilla Haze. The brand also provides for customization in terms of design with their colorful variations of sleeves and other accessories that you can purchase on top of their selection of starter kits. Volcano does not have a money-back guarantee unlike other brands but provides warranties for some their units. Subject to their terms and conditions, products can be returned for replacement. They also have a rewards system that allows their customers to earn points as they purchase their products. Purchases amounting to more than $50 are shipped through USPS priority mail for free. Customers who purchase more than $100 worth of products get free 2-day shipping via FedEx. Volcano Ecigs, in essence, returns the favor to their customers through great customer service to make up for their relatively costly products. However, a money-back guarantee would have been a great incentive so that new vapers and anyone who wants to switch to their brand may purchase his or her kit without worries. All in all, Volcano Ecigs is a brand for intermediate and advanced vapers. It is also for beginners who do not want to settle with low-quality cig-a-likes and vape pens that are meant to function for a very short time prior to being disposed. Their selection of starter kits is not the widest in the industry, but it consists of a few of the most reliable and hard-wearing devices today. Absolutely a brand worth investing in, Volcano Ecigs is an excellent option for advanced and long-lasting vapes. A promising brand that offers unique products, Vapor X is one of the new e-cig makers that we deem has potential. Read our review to know more about them.